UNESCO has been recognized as the natural heritage of the world, Halong Bay became more famous in the heart of tourists. Ha Long Bay is a tourist destination filled with wonders of creativity. In this post Origin Travel would like to introduce to you the Secret Before Travel To Halong Bay. When is the best time to go to Ha Long? Ha Long Bay belongs to the climate of the Gulf of Tonkin. It's divided into 4 spring, autumn, autumn, very clear. The two seasons for tourists to Ha Long tour is summer (from April to October) and winter (from November to March next year). 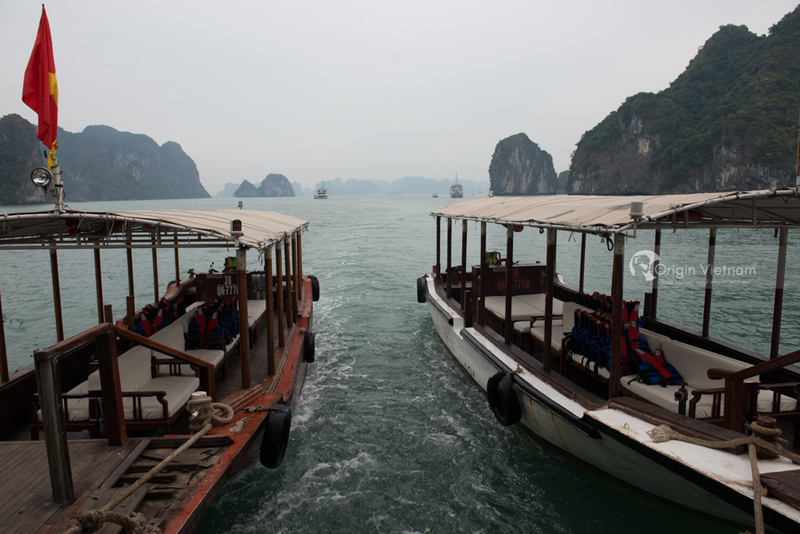 Foreigners prefer to go to Ha Long in the winter, while Vietnamese tourists prefer to go in the summer. Travelers should go to Ha Long in March - May, should not go to June, July. Reasons for the two months are many storms landing in Ha Long tourism will encounter some inconvenience. In addition, this is also two peak tourist Ha Long so the price of services here will be higher, at the same time more crowded. There are three main means to go to Ha Long, which are motorcycles, automobiles and hovercraft. The secret before travel to Halong shared, tourists can take motorbike ride the shortest route from Ha Noi to Ha Long bay through Bac Ninh. Time is about 3 hours. Guests can take the bus to My Dinh bus station, where many large car manufacturers to Ha Long. An average of 5 - 15 minutes is a trip, the earliest departure at 6pm, the latest departure is 17h. Ticket price ranges from 100.000 - 200.000 VND. With seaplane, visitors can book tickets website www.seaplanes.vn, or book tickets through the phone number: (+84)82 909 8686. This service of Hai Au airline. On each plane there are seats for 12 passengers, helping travelers save time while watching the Ha Long scene from above. According to the tour guide Ha Long, in the city, tourists can hire taxis to travel. Some taxi companies are Ha Long, Mai Linh, Hong Gai, Sao Mai, North East, Bai Chay. To visit Halong Bay, tourists can charter at the following two ports: Tuan Chau International Port and Hon Gai Vinashin Port. 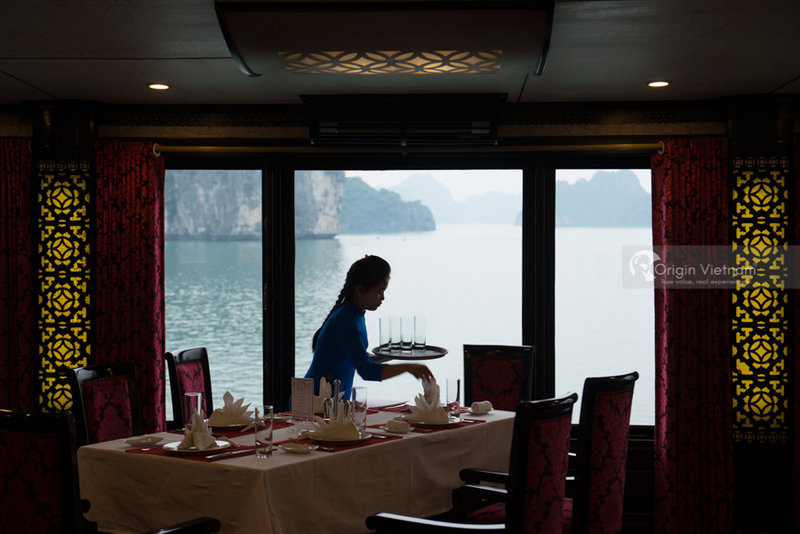 Guests can also charter private companies such as Bhaya yacht company, Indochina yacht company, Ha Long yachts company... The price of the yachts varies, ranging from a few hundred thousand to several million. According to the secret to travel Ha Long, visitors should book early before arriving in Ha Long, preferably before 1 month. So visitors have just got a good room, avoiding the situation of fire in the guest house when going to the coastal city. When booking online, visitors should choose the site major and reputable to avoid "hanging head goats selling dog meat" or be charged other improper surcharge. Ha Long has a lot of attractions, so visitors should determine their travel itinerary to select the appropriate booking area. The most beautiful and expensive hotels are located along Ha Long Road. Da Dao and Bai Sau Garden are priced mid-range hotels, from VND 350,000 - VND 1 million per night. The area of ​​the Navy, cheaper hotel prices, about 200,000 - 300,000 per night. The cheapest is to rent a house in Long Tien pagoda for 130,000 - 170,000 per night. The Halong Tour Guide says that tourists can eat at Hon Gai or Bai Chay. Many restaurants in Bai Chay were reportedly not attentive in food processing and serving customers. Guests planning to eat in Bai Chay should go to alleys to eat ordinary dishes to avoid being cut. Some visitors said Cai Cat has many nice restaurants, such as Ngoc Suong 2 Restaurant, Kim Quy, Crab Gold... The floating house of column 5 Hon Gai also received many praise. Because there are many The beach restaurant is cool and the quality of fresh seafood. To enjoy the wild seafood, visitors can go to Ben Doan area. 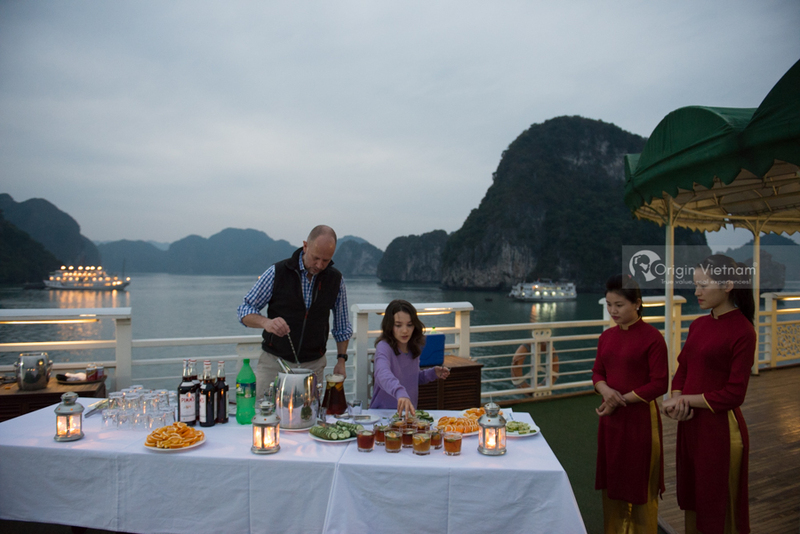 Alternatively, guests can also experience culinary experiences on the boat during the tour of the bay. Eating seafood on this tour is 120,000 - 200,000 VND / person. In Ha Long, cutting down tourists is not a little, so visitors should consult carefully or ask the local people before deciding where to eat. With the basic information above on the travel tips Ha Long , hope visitors will have a trip to Ha Long fun, affordable and have a memorable experience.